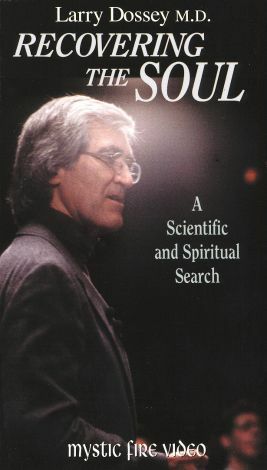 In Recovering the Soul: A Scientific and Spiritual Search, physician Larry Dossey examines the relationship between healing and consciousness. The doctor investigates mysticism, religion, and physics while challenging modern Western ideas about medicine with his alternative ideas about human consciousness. Dossey uses experimental scientific data and examples of miracle cures and events in making his case for a non-localized, holistic view of the human mind. Some examples he uses stem from the Spindrift experiments, which document the effects of directed and non-directed prayer on growth and healing. He also examines the pioneering work of Candace Pert, former director of the National Institute of Mental Health. In the course of this insightful talk, Dossey delves into the insights of sages such as Lao Tzu and Meister Eckhart and the philosophies of Bohr and Schrödinger to connect the nature of consciousness to the properties of the physical world.